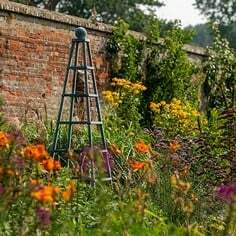 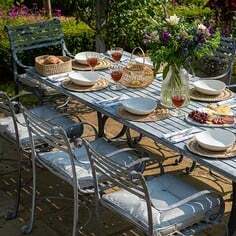 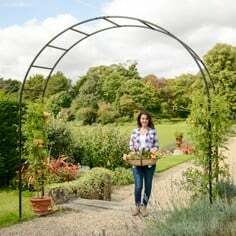 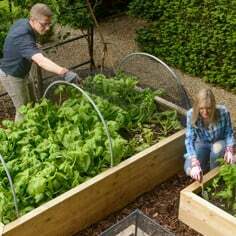 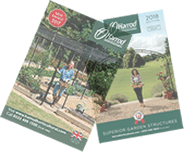 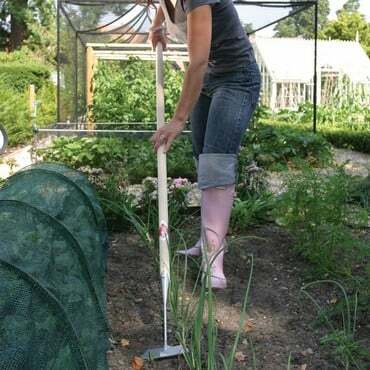 The Sneeboer Hand Rake is perfect for tidying up and preparing small beds and borders for seed, working away effectively in areas a larger rake would find impossible. 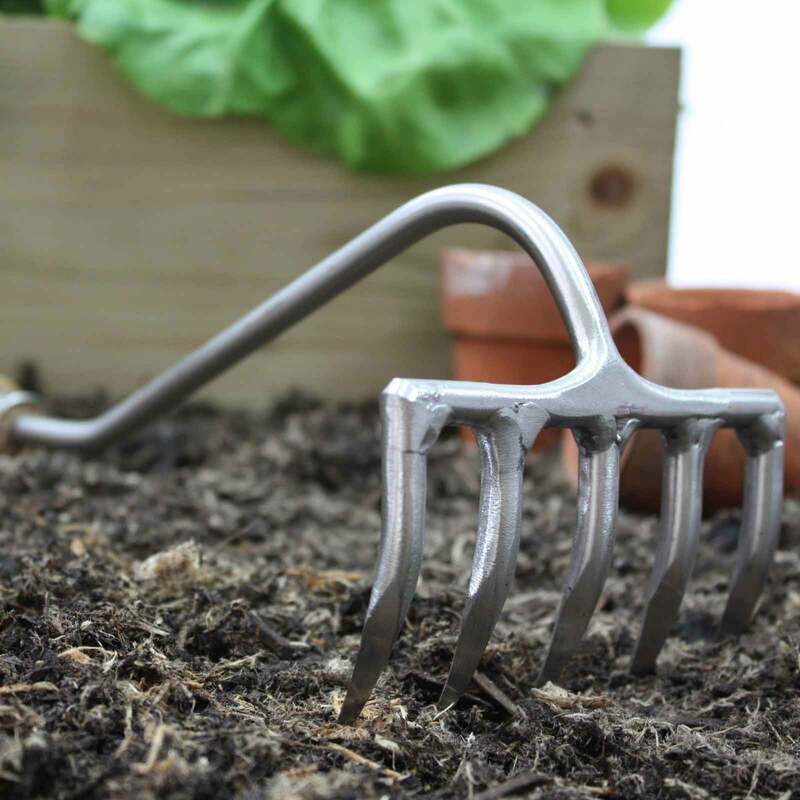 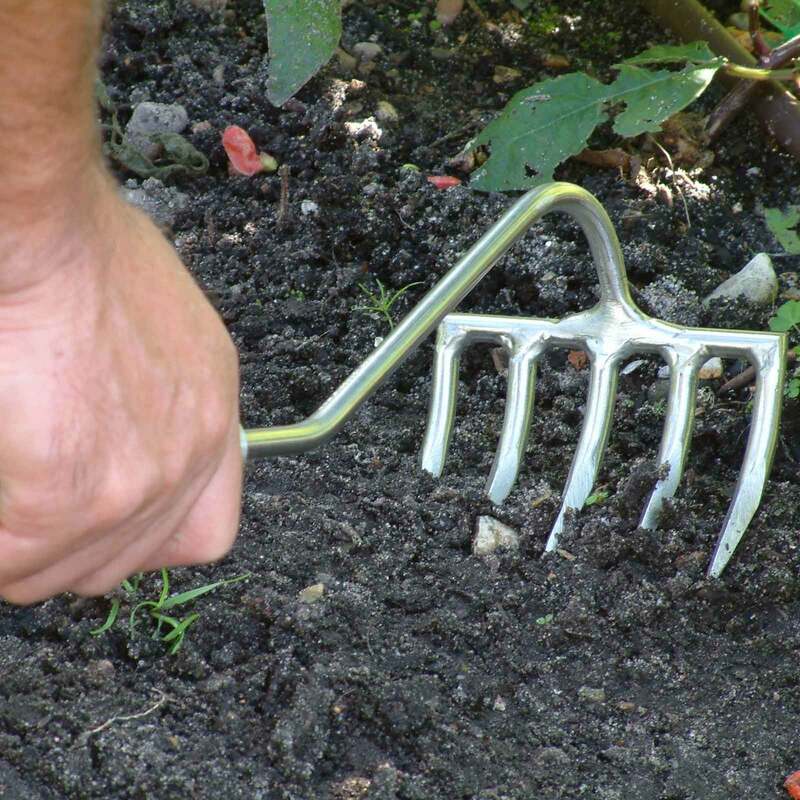 Perfect for carefully navigating around plants in crowded mid-season borders or tilling and cultivating small sections of soil ready for seed sowing, the 45cm long hand fork is manufactured to the same exacting standards as larger stable mates. 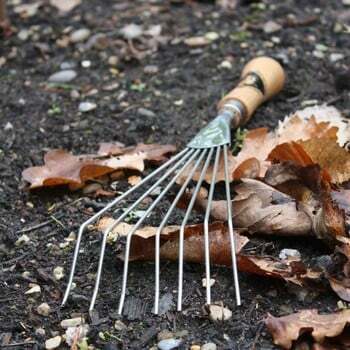 You'll find the five stainless steel tines of the Sneeboer Hand Rake - they measure 10.5cm across - make short work of stubborn clods, giving you a small but perfectly tilled seed bed every time! 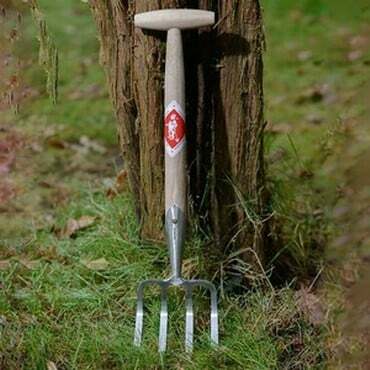 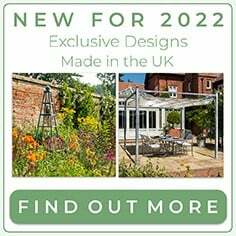 Fast delivery of a really high-class garden tool! 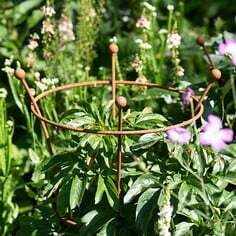 I've found this hand rake an extremely useful tool for close work in the borders, lifting weeds without disturbing perennials & generally tilling the soil. 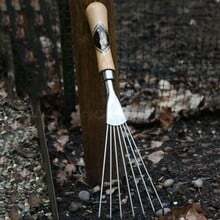 Although a little expensive good tools are never cheap but worth the investment. 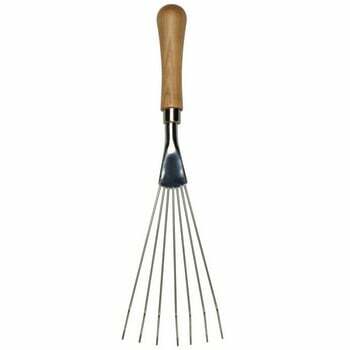 This product has already been put to good use. 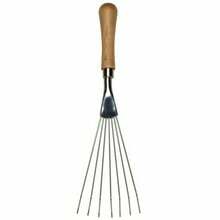 The sharp tines are very useful to break up lumpy soil. 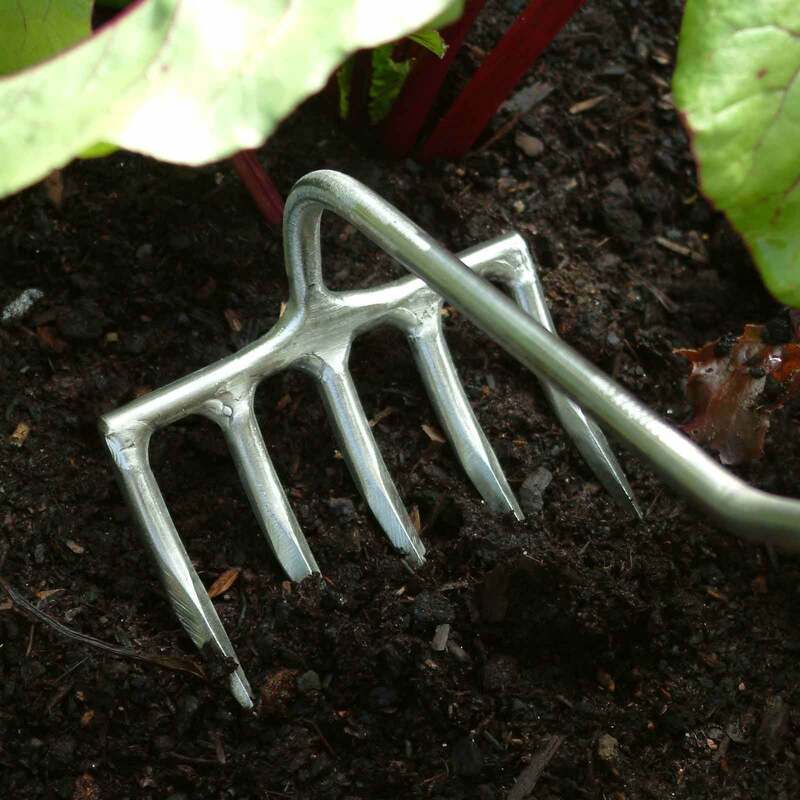 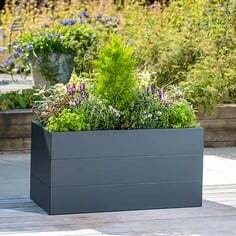 Particularly useful in a fairly small plot.